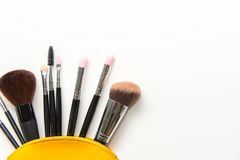 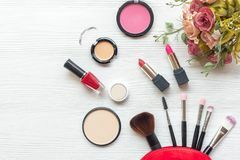 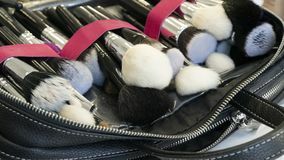 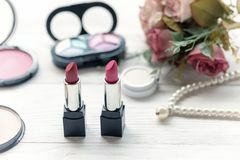 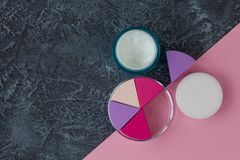 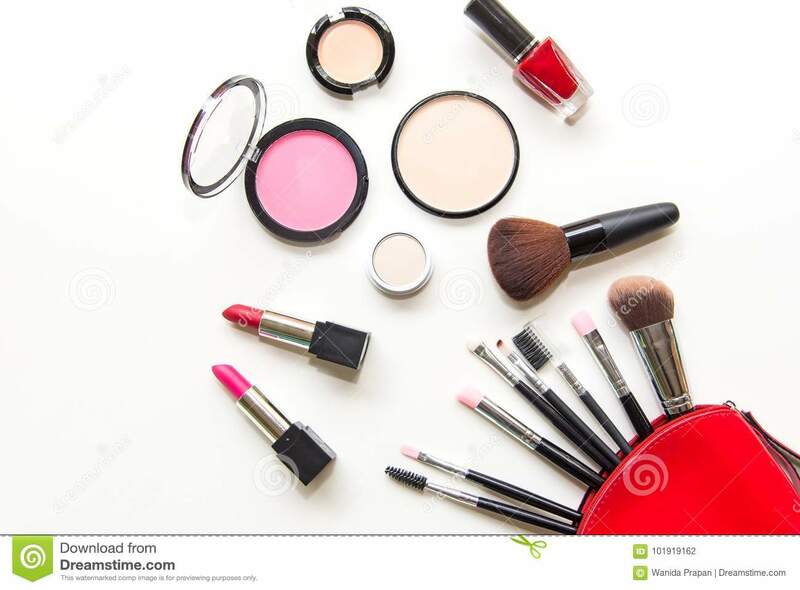 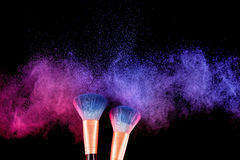 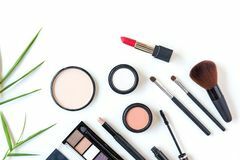 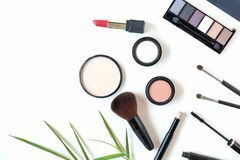 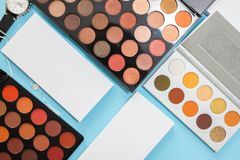 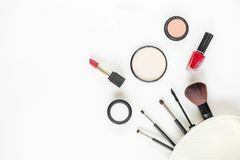 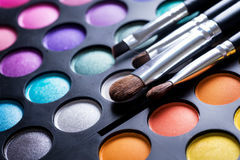 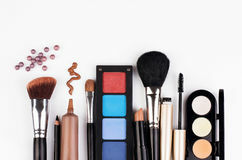 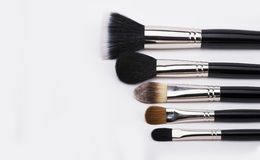 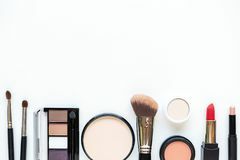 Makeup cosmetics tools background and beauty cosmetics, products and facial cosmetics package lipstick, eyeshadow on the white bac. 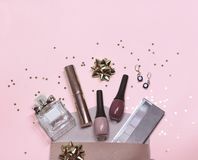 Fashion, female. 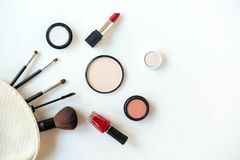 Makeup cosmetics tools background and beauty cosmetics, products and facial cosmetics package lipstick, eyeshadow on the white background. 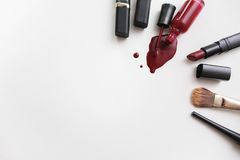 Lifestyle Concept.